Based on the original Eastman and Laird comic book designs these figures are simply awesome to look at. I haven't actually seen one in real life but they are definitely on my wish list. 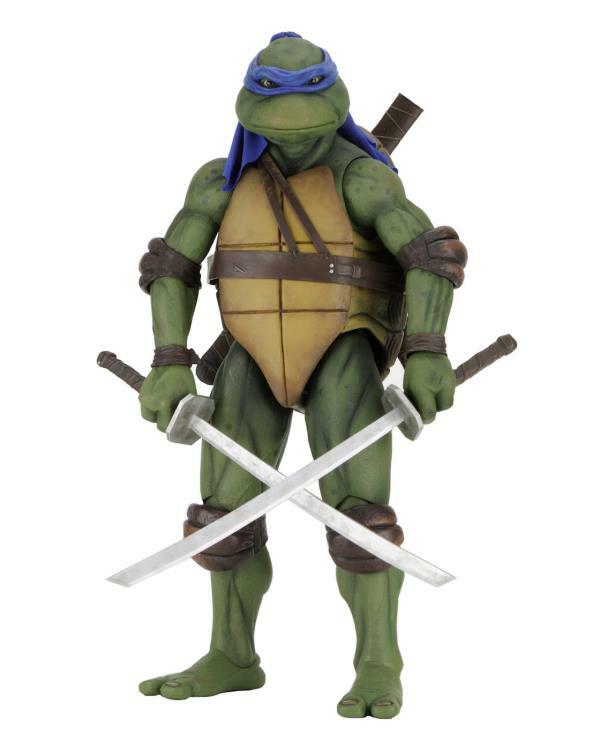 The only one that's out so far is Leonardo but the other turtles are available for pre-order. 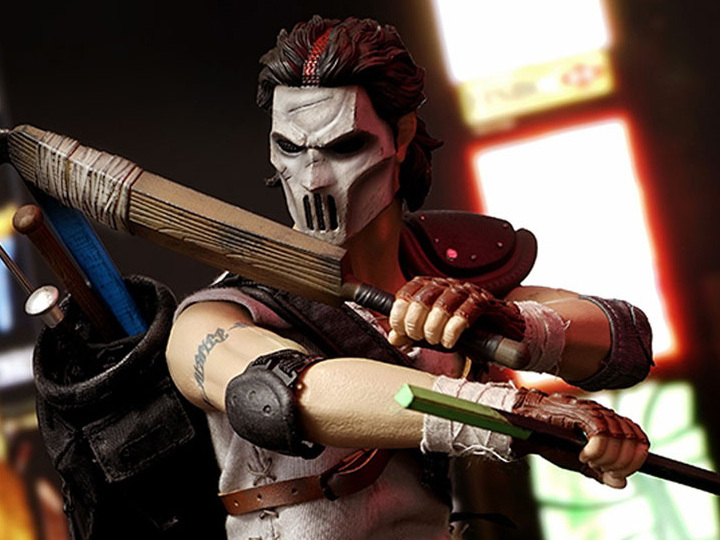 Each figure features over 25 points of articulation and comes with a bunch of accessories including interchangeable heads, hands and weapons. 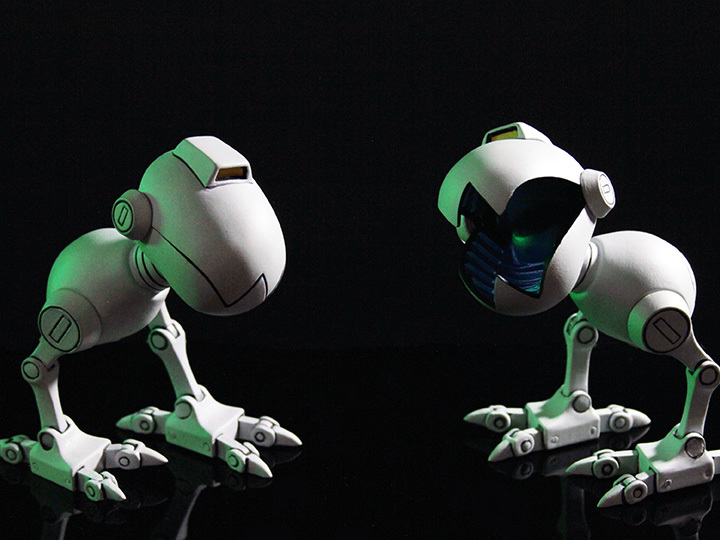 There's also a set of Mousers but so far that's the only villain released. 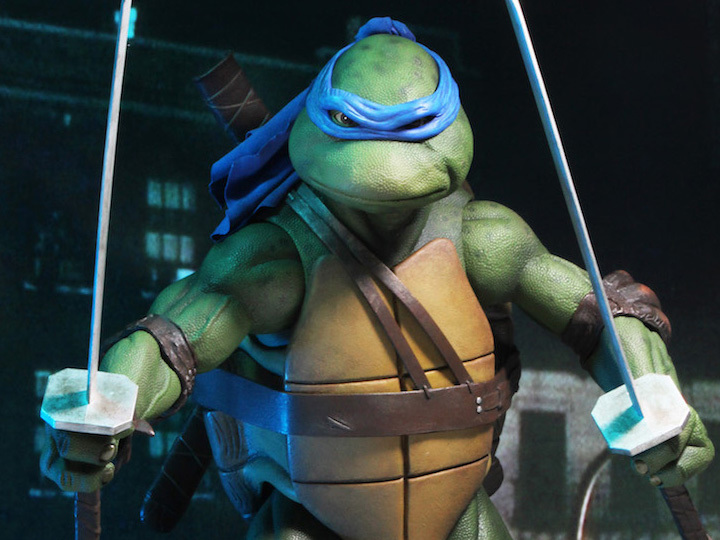 Here's a video review the Leonardo figure. 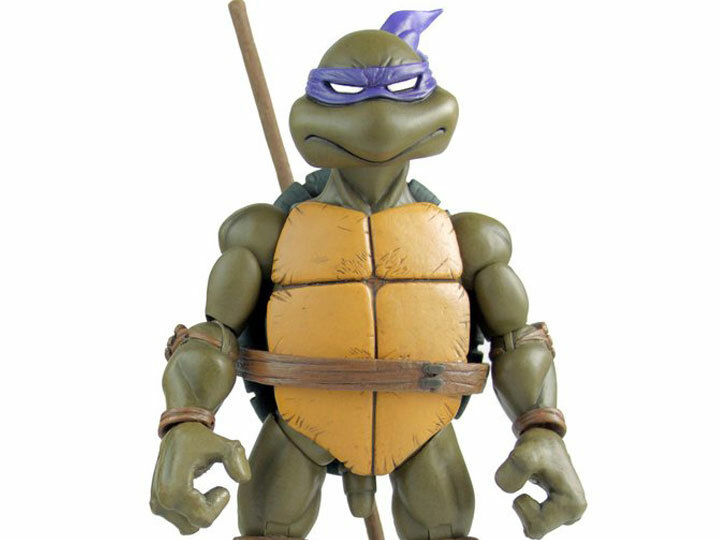 Looks like Donatello has arrived for people who pre-ordered him. The paint is a bit darker than I was expecting but I love how they can make the same mold look unique with each turtle. Some of the criticisms of this line make me think it's not worth the high price point but they just look so damn cool. more product shots from BigBadToyStore.com. The darker color aligns with the original Playmates action figures. They used skin tones to distinguish them in addition to the colored bandannas. 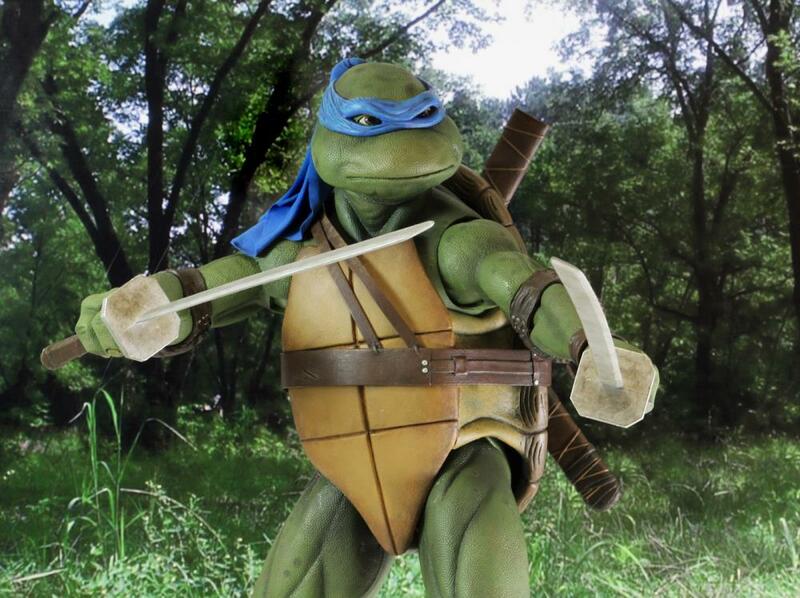 Donatello was darkest, Leonardo a bit lighter, Michaelangelo just a solid hunter green, and Raphael was the lightest. You can see the full criticisms in the videos I posted. In the Leonardo vid he mentions some of the accessories seem fragile and he points out his belt/harness is actually broken. 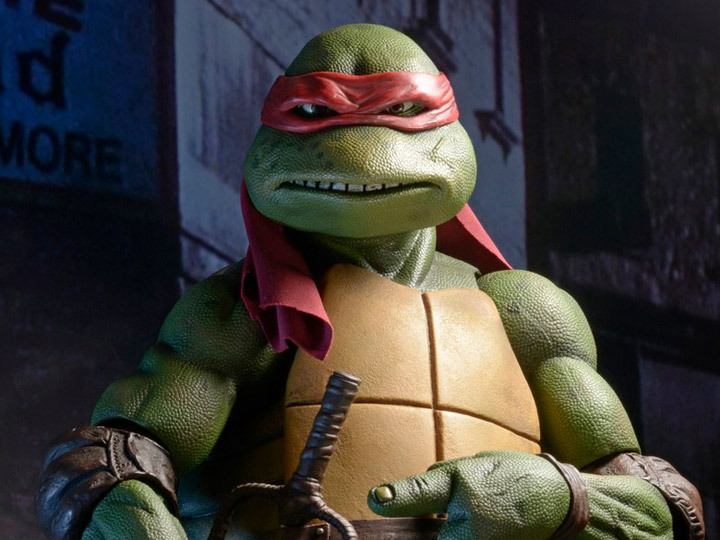 In the Donatello he says that he felt Mondo addressed that by making the accessories more rubbery. However at the end of that same vid he basically says he feels they are charging too much. When I first saw pictures of these I thought I was looking at screen captures from the original film. The level of detail is kind of mind blowing but it's probably to be expected of figures made in such a large scale. These figures are 16.5 inches tall which is significantly taller than most Hot Toys and similarly scaled figures. They also feature 30 points of articulation and their accessories include weapons, interchangeable hands, a mutagen canister and a slice of pizza. 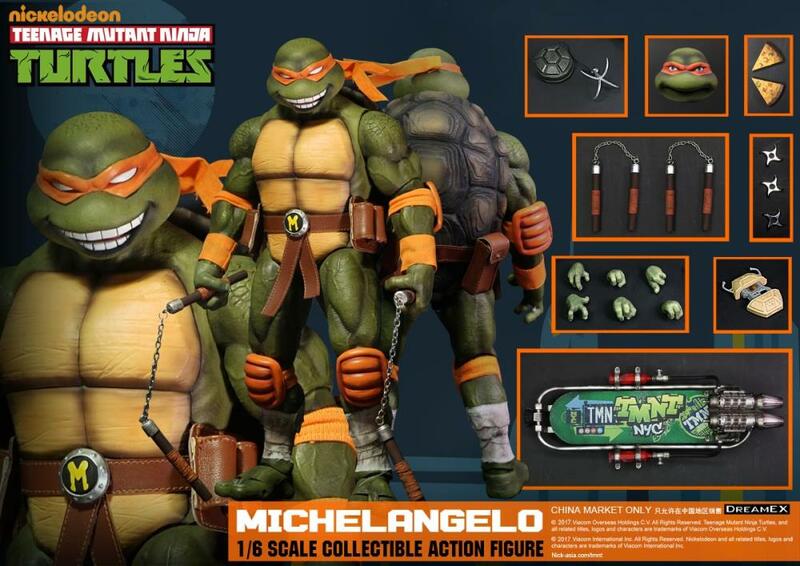 So far Leonardo is available and you can pre-order the other turtles. They are too expensive for me but these may be the crown jewels in some Ninja Turtles fans' collections. I love the texture in these, I thought the original Movie Star figures and the samurai figures from the third movie were good but these are amazing! 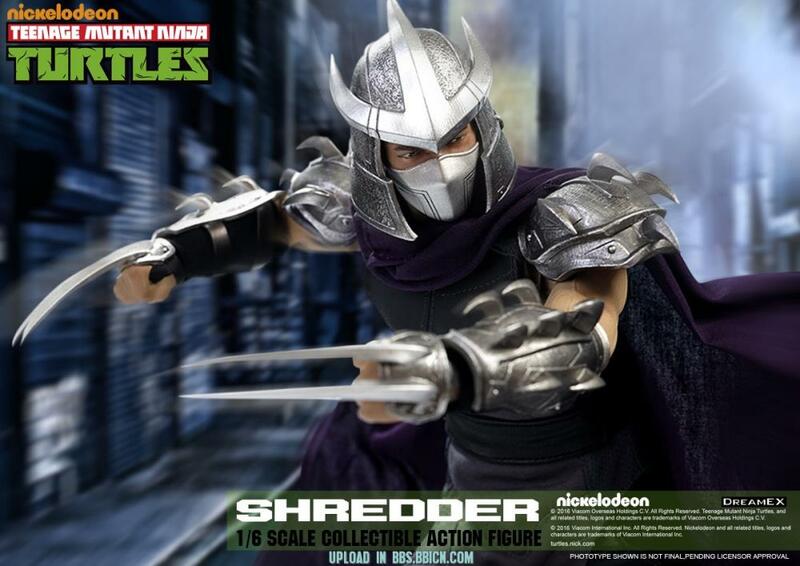 Yet another company doing large scale high quality TMNT toys DreamEX released a line of 1/6 scale action figures that includes all four turtles, Shredder and Casey Jones. 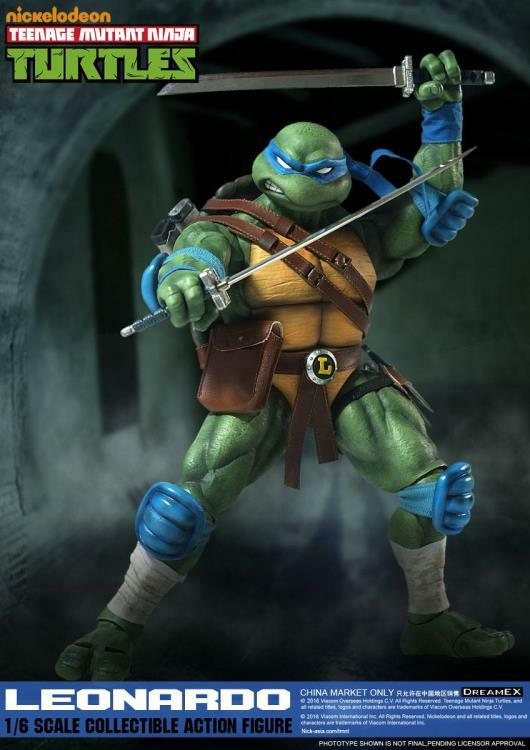 Each comes with multiple weapons most of which are die-cast, accessories including multiple hands and heads, as well as slices of pizza, communicators, grappling hooks plus each turtle comes with a custom accessory. These figures are more expensive than ones previously mentioned and while they are not in my price range they sure look cool. I fell like Raphael should have the over coat, but those do look cool. I just heard at my LCS that these toys are selling like crazy and the Store Owner is asking for more toys from distributors both sexes are gobbling them up and I agree with thwhtguardian comments about the feel of these toys (in terms of texture) and all that. 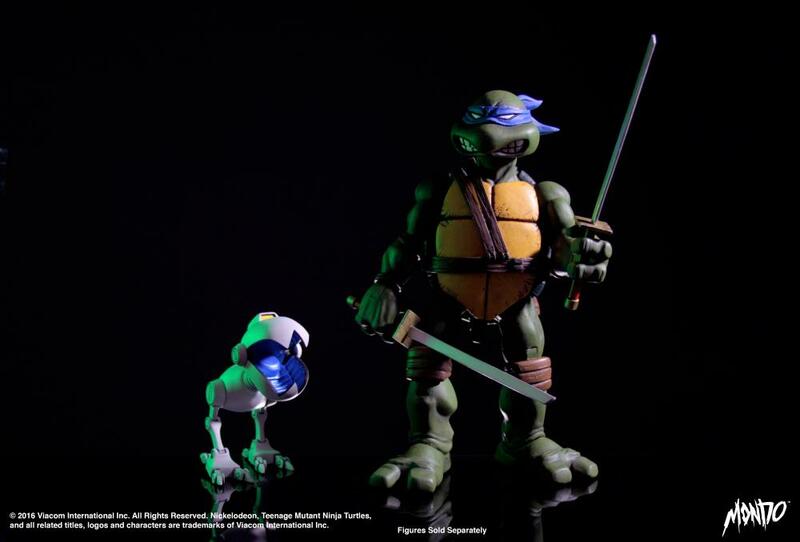 I have a friend who is a TMNT fan and he told me that these are the best toys that he ever seen in his life. He is a good judge of toys and it will be joy to have if you are in Teenage Mutant Ninja Turtles. 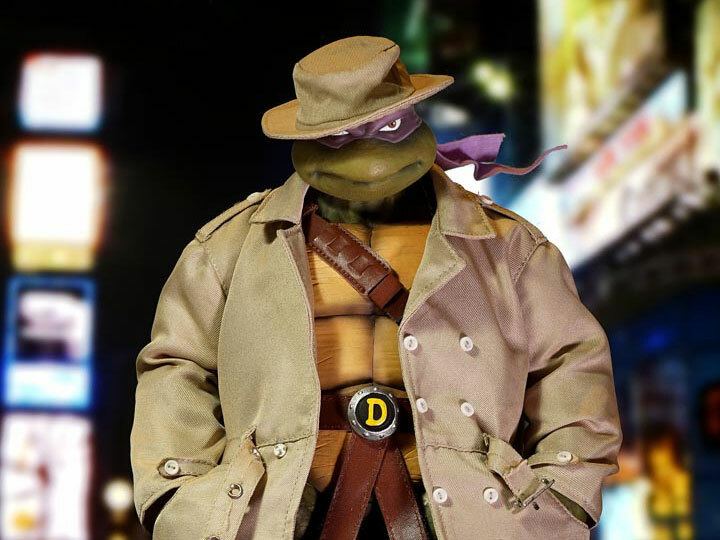 From what I've seen the coat looks interchangeable with all the turtles. It looks pretty high quality too. 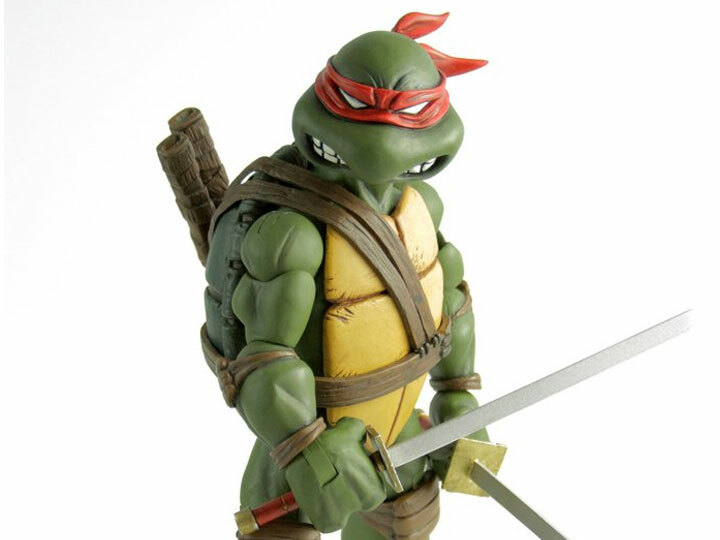 This video review of the DreamEX Michelangelo figure has a great group shot of all the turtles together towards the end. His skateboard may be my favorite accessory out of all the figures in this line. 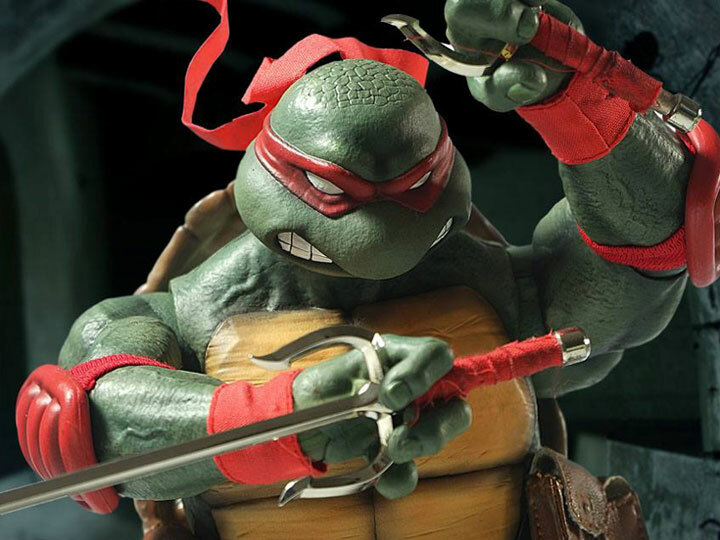 NECA finally brings their Teenage Mutant Ninja Turtles from the 1990 movie to a smaller scale with the SDCC 2018 exclusive box set! NECA also released an Accessory Set featuring the 1990 movie Baby Turtles to go along with their previously released 1:4 turtles from the film.